The Brother HL-3040CN is a fast and efficient printer that's perfect for networking or small-office use! Thanks to LED technology, the HL-3040CN can print up to16 pages per minute in black and white or in colour. Plus, a built-in Ethernet interface means it can be easily connected to your local network and used by several computers at once. The HL-3040CN also has a 250-sheet paper feed tray so you won't have to keep filling it up. 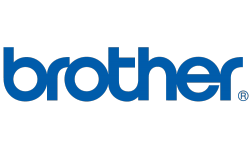 This Brother LED printer is an energy efficient choice thanks to Energy Star and Blue Angel certification for reduced power consumption. The HL-3040CN even has a restricted-access colour mode so you can decide who has the right to print in colour. Boost your productivity with the Brother HL-3040CN LED printer.